Patmos is a small, island in the Aegean Sea in Greece, most known for being the location where the Christian Bible’s Book of Revelation was written. The overall atmosphere on this island of Dodecanese, is both cosmopolitan and discreet, fact that proves visiting Patmos is for anyone. Patmos is a must-see island offers late nights and plenty of music, often quite loud around the port area of Skala. In Chora, the island’s main town (capital city), has an air of mystery about it. The island’s churches and monasteries and communities on Patmos are of the Eastern Orthodox tradition. Patmos has also beautiful beaches, that are perfect for carefree fun and relaxation. Because of the Book of Revelation, Patmos has a long history. Visitors can see the Cave of the Apocalypse and several monasteries on the island are dedicated to Saint John. 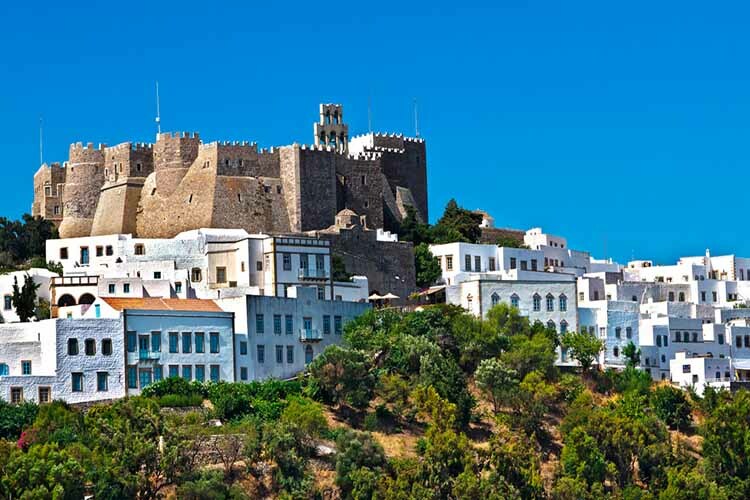 If you want to visit this Greek holy island and spend some days on it, you are going to need to book a hotel in Patmos. There are plenty of economic accommodation choices in this island. Make your reservations easy, using the online booking tool of our online tourist agency e-globaltravel, available 24 hours a day. The only thing you need to do is to choose the perfect room for you, just by two clicks. On our online page you are going to find everything that you are going to need, as well as the airtickets and the ferrytickets, to reach Patmos and other destinations in Greece. Vacations in Patmos is not just a swimming experience. You are going to find many activities to book, like strolling around the main town’s alleys, visiting the Monastery or visit the nearby islets of Arkoi and Marathi.